ROSLAN RAHMAN/AFP/Getty ImagesMeng Hongwei, president of Interpol, delivering an addresses at the opening of the Interpol World Congress in Singapore. – The former Chinese head of Interpol, who went missing last month, was accused of accepting bribes on October 8, becoming the latest top official to fall in President Xi Jinping’s anti-corruption dragnet. The wife of Meng Hongwei, the former Interpol chief who disappeared and abruptly “resigned” from his post, says she received a call from Chinese agents threatening her safety. She says the man claimed he knew where she was. The threatening call prompted authorities to place her under police protection. Speaking to Associated Press on Monday from a hotel in Lyon, France where she lives, Grace Meng says she had just put her two boys to bed when a mysterious call came through on her cell phone. Meng said the man revealed that he used to work for Meng, leading to the belief that he was part of China’s security apparatus. 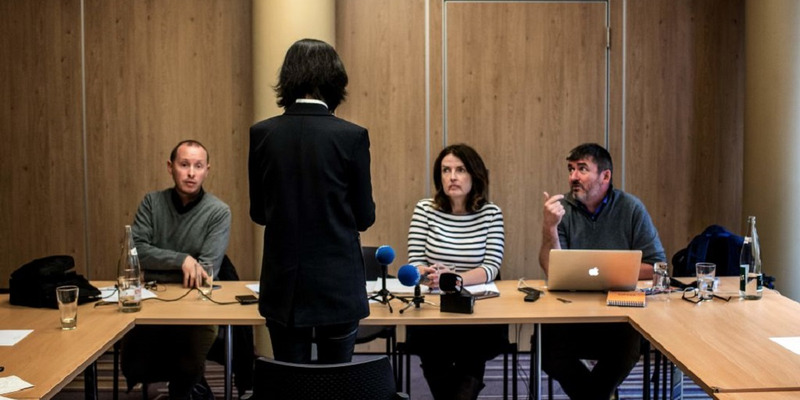 JEFF PACHOUD/AFP/Getty ImagesGrace, the wife of the missing Interpol president Meng Hongwei, talks to journalists on October 7, 2018 in Lyon during a press conference during which she did not want her face to be shown. She says the man added that he knew where she was. The threatening call prompted authorities to place her under police protection. A French judicial official confirmed to AP that police are investigating the threats made against Meng, though it is unclear if Chinese agents had been sent to Lyon to monitor her. Meng says she has not heard from her husband since September 25 after travelling from France to China. The last text she received from him was an emoji of a knife, possibly to warn her that he was in danger, the Associated Press said. Interpol has been vague on the details of Meng Hongwei’s whereabouts. 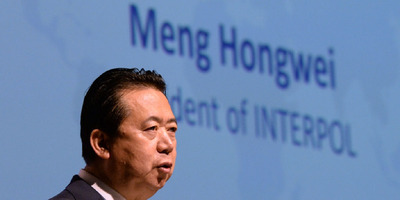 On Sunday, Interpol posted a statement on Twitter, saying Meng had resigned as president of the agency’s executive committee “with immediate effect,” though it did not provide reason why. Mrs. Meng denied the allegations on behalf of her husband and offered to make their bank accounts public. Details of Meng’s alleged violations are not clear, but his detention appears to be part of a far-reaching “anti-corruption drive” promulgated by President Xi Jinping amid his moves to consolidate power. Several prominent military leaders, politicians, and celebrities have been targeted in the graft. Meng previously served as China’s vice minister of public security. China has been accused of engaging in global espionage, and recent reports indicate that China appears to be engaging in a large-scale operation to forcibly repatriate its citizens to China, notably individuals with money or political power. In January 2017, Xiao Jianhua, a Chinese-Canadian billionaire, was believed to have been kidnapped from his luxury apartment in Hong Kong sent back to mainland China, after men were captured on security cameras at the building rolling him away in a wheelchair with his head covered.